Haas team boss Guenther Steiner fears the tyre issues that dogged the performance of its VF-19 in Bahrain and China could weigh even more heavily on the team in Baku. 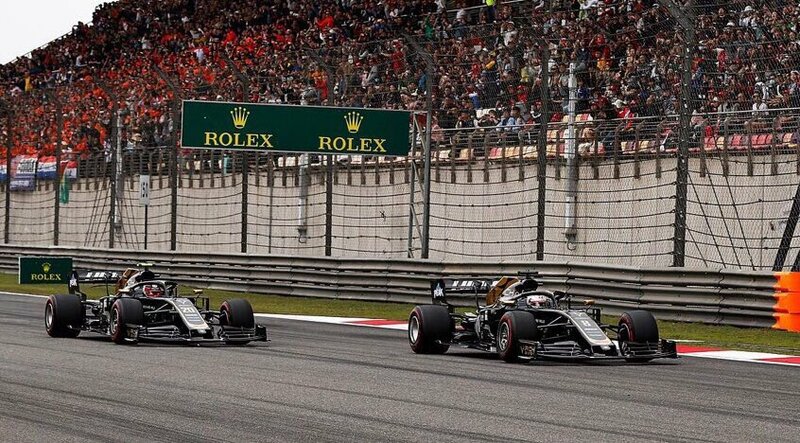 Haas kicked off its 2019 campaign with a solid outing in Melbourne, courtesy of Kevin Magnussen’s P6 finish, but the team’s level of performance has since fizzled, with the Dane and team mate Romain Grosjean running out of the points in Bahrain and Shanghai. Both drivers made the Q3 cut in qualifying, for the third time this season, a result that pointed towards the VF-19’s strong pace on short runs. On Sunday however, the car once again failed to offer Magnussen and Grosjean a shot at scoring points. The race was a clear indication that the team has yet to solve the troubles that started in Bahrain. “We understood the problem after Bahrain but we couldn’t fix it in time for here, we still need to work on it,” said Steiner. “We need to keep on working and try and find a solution to our big issue. “We didn’t have this in winter testing, as the track is completely different to these tracks like Bahrain, here and Baku. Steiner identified the track configuration that least suits Haas’ Ferrari-powered VF-19. “In winter testing, even if it was cold in Barcelona, you load the tyres a lot, you have energy to put in, you can keep the heat in it. The post Haas bracing for more tyre struggles in Baku appeared first on F1i.com.